I was debating listing off all the creators who I'm incredibly jealous of, but the list is long, long, long, and certainly is reflective of some problem on my end, to be fair. (And there's definitely a lot of impostor syndrome eating away in my case as well.) But I try to focus that I'm usually jealous because these people are so damn good at what they do - and yes, maybe I'd like to be as good as they are or achieve on that level, but I need to put in the work to get there. So it's on me to do that. Otherwise I could just wallow in where I'm at and never push myself to the next level. 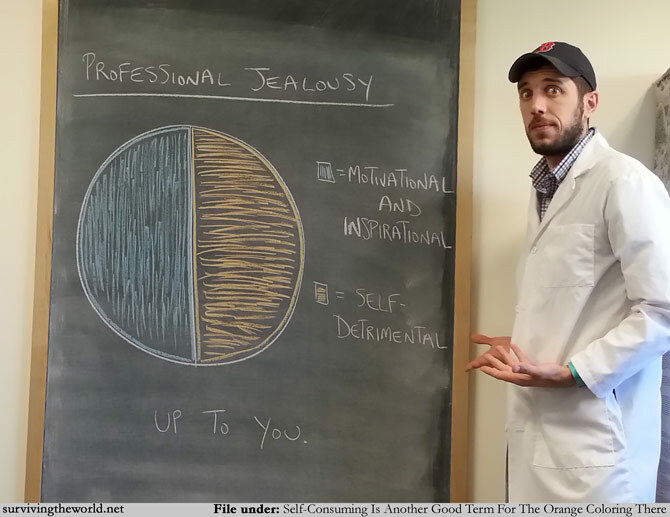 Professional jealousy is an incredible motivator if you let yourself channel it just right. Or it will devour you. Up to you.